Steven Butala: Today Jill and I talk about how to protect yourself legally in the land business. Jill DeWit: It sounds like it’s scary. Like do I need protection? What am I missing? Jill DeWit: I like that. Steven Butala: … just occurred to me, actually this whole week is kind of back office admin week and how to get a mailer out. Just the basics. Basic, basic stuff. Amy was nice enough to share that we have a bunch of new people, for whatever reason, in the last few months and they really need to just basic 101 type stuff, so Jill and I are happy to help. Steven Butala: So how do you protect yourself legally? We’ll talk about it in a second. Steven Butala: I have, as always, a lot of ideas on that. Jill DeWit: As always, a lot to say. Steven Butala: Before we get into it, let’s take a question, posted by one of members on the LandInvestors.com online community. It’s free. Jill DeWit: John A. asks: What’s the difference between DataTree and RealQuest? Steven Butala: Okay, I’ll give the background and you get to answer the question. Steven Butala: We are, Jill and I, licensed providers of the three major and the only three worthwhile, in my opinion, data sources for assessor data. RealQuest Pro, which has been the old standby since the late 90s. TitlePro 24/7, which is kind of a newer but not totally new data set that helps title agents, actually, help figure out … Close a deal. And then the third on is DataTree, which is First American Title’s almost brand new answer to RealQuest and TitlePro. So what do you think the differences are between the three, Jill, in general? Steven Butala: … a step back further. There’s 3144 counties in this country. Counties, parishes. Jill DeWit: Of all the property. Steven Butala: … about every single property in their county. Why? Because they tax it every year. So it has to have an assessed value and all this stuff. Well, RealQuest, which used to be a division of First American Title but is no longer, they’re the original. They’re the old dinosaur in the business. Steven Butala: Usually more frequently, the assessor reports, to RealQuest, all this data. Jill DeWit: And then we pull that data. Thank you very much. Steven Butala: But there’s a lot of different ways they do it. Steven Butala: Some of them are in the Stone Age. Jill DeWit: Exactly. So they really send out individuals, not kidding, and they sit there with a computer and input the data. So the big thing is, for land, number one, every time you pull a county, it’s delivered in the exact same format so you can easily do multi-county mailers and just you don’t have to relearn it every single time. Column 25 is the same every time you download the data for that county, which is beautiful. Also it’s really, really detailed for what we need for land. It’s like 380 something columns, I think it is, of data that we have, which is astronomical. And the reason we went to RealQuest way, way, way back in the beginning, was because it was the only place that we could source data with an assessed value of zero. So that’s really kind of a neat thing, if anybody really wants to know why did you guys start with them? That’s why. Jill DeWit: Yeah. Or excuse me. Improved. Not assessed. Jill DeWit: An improved percentage of zero. I’m sorry. Steven Butala: Every single piece of property in every county has two assessed values. Steven Butala: Improvements are, for lack of a better description, what’s built on it. Steven Butala: It’s not … Just for 101 purposes, that’s what it is. Steven Butala: … mailer. You need to know what the assessed value is for each one of those. In particular what Jill’s describing is if the improvement value is zero, now we know it’s a piece of land. Jill DeWit: It’s got nothing on it. It’s just dirt. It was not improved. Steven Butala: … decision about whether or not they’re worthy of getting an offer from you. Steven Butala: There’s a lot of property in all these data sets that should never, ever get an offer from you. You’re just wasting the price of a stamp. Steven Butala: That’s what these data sets are so good at. That’s why this all works. Jill DeWit: Or they don’t have current data. Yeah. Steven Butala: Specifically, Bigger Pockets, if you type in failed mailer, you’ll get a thousand entries about people buying a list on Facebook. Steven Butala: Sending it out to current homeowner or current landowner. It just doesn’t work. Jill DeWit: Well, let me take it a step further. I know people that have even gone to the county, right? This is the old way, too, before we had this. You would go to the county. And when you’d sometimes get back from the county, good luck if you’ve got all the things that you asked for. Because you’re on the phone talking to somebody and you’re probably mailing them a check. You’re waiting a couple weeks for them to pull it up and either send it to you. If you’re lucky, now they email it to you. But back then it was like a DVD or sometimes even a stack of paper. Steven Butala: … the assessor tax roll directly from the county. Steven Butala: You can call them and say I’m going to send a $50 check in. And they send you literally a DVD or a CD of data. Steven Butala: You download it onto your computer, if you even have a CD player anymore, on your computer. Steven Butala: And it’s just gobbly gook. Steven Butala: You have to figure it out. Jill DeWit: … and a lot of old information, just so you kind of know, but let me give you … Back to the answer here. So what’s the difference between DataTree and RealQuest? They both pull assessor data. They’re both very, very valuable. We have found different nuances between the two and we have found, in just how we use it, RealQuest Pro, for land, is the best. DataTree, for houses, is the best. They have a little bit different characteristics, a little bit the way they analyze the data. DataTree will throw in their extra mortgage information and things like that, which is beautiful. That’s about it. How’s that? Steven Butala: I mean, I’ve used … I have a tremendous amount of experience in both products. Steven Butala: … hundreds of thousands out of DataTree. And the only reason DataTree has less is because it’s new or newer. Steven Butala: And I can tell you emphatically DataTree has historical information for liens, meaning mortgage amount records. Steven Butala: … very soon. How much debt is on a given asset is imperative to making a decision about whether or not they’re going to receive a letter from you. Steven Butala: Land is essentially unfinanceable, in general, unless it has some improvement values on it. Jill DeWit: Who owns it. Is it current? How current? Steven Butala: RealQuest, land, DataTree, houses. Steven Butala: Or apartments or office buildings or whatever you’re using. Steven Butala: Today’s topic: How to protect yourself legally. This is the meat of the show. Steven Butala: Thank God, too. Jill DeWit: … and I’m talking to somebody who might come up to me and say, “What do you do?” Which I hate that question. But you and I invariably go into data. Jill DeWit: … you’re wasting your time and wasting your money. So we launch into data, data, data, data, data. And it’s so darn funny. That’s like so this question, I’m like, oh, we could talk for an hour on data. Easy. Steven Butala: I notice that … I produce the show, so every time we talk about data, it always goes over time. And we’re going to go over on this one. Steven Butala: I can tell right now. Steven Butala: I love data. It’s all about the data. Steven Butala: That’s why this works. If you’re going to hire somebody, since you said it, if you’re going to hire somebody to scrub data in general, this isn’t going to work, I’ll tell you. Jill DeWit: Answer the phone. Steven Butala: … this isn’t going to work. If you are one of those people, the way it works for you is to get a partner. Steven Butala: Get a data geek partner and then you can do all the deals and be on the phone and do all the stuff if you’re that kind of person and vice versa. Steven Butala: That’s what Jill and I are. Jill DeWit: Yep. Thank you. All right. How to protect yourself legally. I’m going to start off. First, there are the obvious things. They involve, number one, always doing the right thing. I mean, come on. Do the right thing. Even if it costs you money. That is our personal motto and our corporate motto. That’s number one. Number two, pay taxes. And if you’re not sure about this stuff, it’s so easy to get an accountant. And I know a lot of our members talk about this, in our online community, Land Investors. Are you laughing at me? Steven Butala: Because just what this question is about. This is why this show is valuable. Steven Butala: Because it’s not even what … I mean, I’ll go after you. Steven Butala: This is all valuable information, it’s just not what I thought this question was. Steven Butala: No, keep going. Jill DeWit: Paying taxes. If you’re not sure about how to do it, get an account. That’s too easy. Now I’m like what do you have to say? Jill DeWit: What did I miss? Oh, okay. Steven Butala: How I thought it was intended. Go ahead. Jill DeWit: All right. Oh, I’m done. Now you go. Steven Butala: I’m sure it works. I love real estate. I did a few deals the wrong way and now I want to do them right. What do I do so that I don’t get sued? Steven Butala: Or so that somebody doesn’t come back and say or don’t even … Maybe just make a mistake and misrepresent something unintentionally. Jill DeWit: Well, my points are valid. Do the right thing. Steven Butala: Pay your taxes. Steven Butala: Speaking of taxes. Jill DeWit: Well, wait a minute. Jill DeWit: Oh, my gosh. Steven Butala: I’m all for full disclosure, but we had to drink. We had to have alcohol to sign some stuff. Jill DeWit: To write these checks. Steven Butala: These last two years. Jill DeWit: It hurt. But it’s okay. But we’re doing the right thing. Jill DeWit: You know what? That’s the bottom line. Steven Butala: Okay. So, when you buy a piece of vacant land and it’s that first deal. Steven Butala: And it’s out in some other state that you don’t live in. You’re never going to see it. So you start thinking I don’t know what’s going on out there. Steven Butala: How do I protect myself legally? I’m never going to go see the property. What if there’s vagrant people sleeping on there? What if there’s a pile of refrigerators and there’s Freon leaking all over the place and on and you start to think about it, all those first few deals. Jill DeWit: I never thought about that. That’s what’s so funny. Okay. Steven Butala: But that’s one of the five million great things about Jill. Steven Butala: Because I think about that stuff. And it would be stupid for both of us to sit around thinking about it and wasting time. One person should suffer. Jill DeWit: Well and if you do it wrong, you fix it. Go ahead. Steven Butala: That’s what we used to say about, we used to say about when the kids were little. Are you going to take care of her? No, you take care of her. There’s no reason both of us should suffer. Jill DeWit: That’s true. Good point. Steven Butala: Why don’t you go shopping and I’ll take care of her and then tomorrow I’ll go out on the boat. You take care of her. Steven Butala: Anyway, it’s a good idea, in general, to get and this is for land only now, some type of insurance. In fact, you should get insurance as a corporation or as an LLC. Errors and omissions insurance. Insurance. We have now and didn’t for very, very long, very long. Decades. We had no liability insurance for like slip and fall and if somebody got hurt on our land. We just did recently, like a year and a half, two years ago. So I would recommend that, but don’t be too worried about it, especially with really rural land. Jill DeWit: You can get a general blanket policy. You don’t have to go piece by piece by piece. Because hopefully you’re owning a piece of property for hours or days or weeks, so you don’t want to turn it on on Tuesday and turn it off on Friday. Steven Butala: … with no title policy. You’re just doing the deed yourself, your [inaudible 00:14:19] comes back, you own it. Steven Butala: There is a certain level of risk, but in my opinion, it’s a very acceptable level of risk about ownership. In the almost 16000 deals that Jill and I’ve done, I think we’ve had issues with the title policy, that I can think of, once. Steven Butala: Jill has been doing it more than me recently, so let’s just say less than five. Steven Butala: And we resolved it. We went back through the chain of title and hired somebody and solved it. So that’s not … Check. That’s not really an issue. Steven Butala: Then there becomes this issue of okay, here’s what I think, actually, this is what I think this topic is about. I sold a piece of property. Used a title agent. The guy bought the piece of property. And two years goes by and he owns it and he says, “You know what? You misrepresented this property. You said it was 5 acres and it’s 5.02 acres.” Or let’s say 4.98 acres. “It’s this, it’s this, it’s this. What are we going to do about this? You have to solve this for me legally. I’m not happy.” The chances of that happening in rural, vacant land and in infill lots is so small. That’s really what I think this question is about. But let’s say they’re unhappy. How do I protect myself legally. Steven Butala: You give them their money back. Steven Butala: You solve it. Jill DeWit: Or trade it out. Steven Butala: You solve it. You solve it, Jill. Jill DeWit: I’ve had people, like I had one guy. I mean, if you do enough properties, you will have one. There’s always one. And in a minute, I’m going to talk about other businesses, too. Steven Butala: Again, I want to, before Jill gets into it, because she has a lot of experience with this. Steven Butala: … and it’s a very valid questions and she’s concerned about it. Jill DeWit: It doesn’t come up, is what you’re saying. Jill DeWit: It really doesn’t and what’s so funny about it is like I’m … Sometimes, too, in can be a blessing in disguise. I’ve had properties where, again, it doesn’t happen very often, but let’s just say it came back. And actually I’ve talked to members about this. And it might be worth more now. Jill DeWit: … if anybody ever came back to me. I can only think of one guy and all we did was a swap out of property. Jill DeWit: “That equals $300. Fine. I’ll send you $300, because you paid $8000. Or something like that. Do you want a refund?” Usually and now if they’ve been loving it and owning it for three years, they’re going to go, “No, no, no, I don’t want that.” But maybe, it may just be something’s wrong with them. Usually that’s it. It’s not you. Maybe they just, I don’t know. It doesn’t really come up. Steven Butala: Let me wrap it up this way. Steven Butala: If you’re a nurse. Steven Butala: If you’re … Own a convenience store. Your chances are tenfold, at least, that some type of incident, legal incident is going to happen. Steven Butala: And I could run through a huge list. It should be in the back of your mind and you should cover yourself from an insurance standpoint to the point where you’re comfortable. Steven Butala: But just don’t worry about it. Jill DeWit: But you know what? And here, let me wrap up with this. If you always properly convey everything about the property that you know and you say this is everything that I know about the property and you’re upfront and you’re honest and everything like that and you offer … I want to say this, too, for new people, because I’ve seen other people do things that didn’t really … I wouldn’t have done it this way, but and you always say, hey, I have a guarantee. Whether it’s the life of the property or six months. Whatever you want to put in there. Offer some sort of money back guarantee. Then your customers are going to love you. They’re going to feel good about you and all of that. Jill DeWit: Where I’m going with that is I saw one of our members on there. I was at their website and they say, no, it’s as is, when you buy it, no refunds. Something like that. And I’m like, okay, that rubbed me the wrong way. So I just want to let you know if you’re a new person, as a potential buyer, I might not be so interested in buying your property now, because that scares me a little bit. But if you, like I said, you properly convey it, have good photos. You say everything I know about the property is here. By the way, if you go out there in 90 days and when you see it, you don’t love it, hey, we’ll give you a refund. Totally fine. Then you are covering yourself and your buyers will love you and you’ll have more buyers because of that, too. Steven Butala: Well, you’ve done it again. 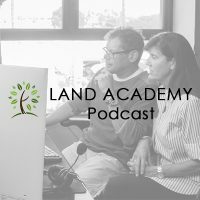 You’ve spent another 20 minutes or so listening to the Land Academy show. Join us next time for the episode called Three Simple Systems You Should Have In Place Before You Actually Send Out Offers. 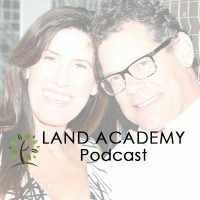 Jill DeWit: And we answer your questions posted by our online community, landinvestors.com. It’s free. Steven Butala: It needs to be talked about. Jill DeWit: … data to legal. Great. Okay. That’s for hanging in there. If you are still listening. Both of you. Steven Butala: Like I said a million times, when we horse around on this show, 50% of the people love it and when we’re talking about technical stuff, 50% of the people love it. Jill DeWit: Exactly. So this is for you technical people. And you technical people, wherever you’re listening or wherever you’re watching, please subscribe and rate us there. It really helps.